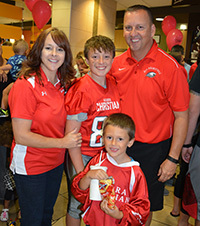 Dr. Collette House began teaching high school mathematics and sports medicine at Aurora Christian Schools in the fall of 1992. Throughout her years at ACS, she also served as the certified athletic trainer for the Eagles and director of the Chapel Band (student worship team). Dr. House earned a Bachelor's degree in Mathematics and Secondary Education from Bethel University in St. Paul, Minnesota. She completed a Master's degree in Educational Leadership at Aurora University in 2001, and earned her Doctoral degree in Organizational Leadership through Northcentral University in 2016. Dr. House has been a part of the administrative team since 2000, became Middle/High School principal in 2006, and assumed her current role as Superintendent in 2010. In addition to her work at Aurora Christian, Dr. House serves as a board member for the Association of Christian Schools International (ACSI), as chair of the Mid-America Regional Accreditation Commission and as a member of the global Commission on Accreditation for ACSI. She collaborates with other Christian school administrators and promotes excellence in Christian education throughout our region. Dr. House lives in Aurora and attends Highpoint Church in North Aurora, Illinois. Mrs. Mayra Johnson is the Preschool and Elementary School Principal at ACS. Mrs. Johnson started her teaching career in East Aurora School District as a 1st grade bilingual teacher. Since then she has continued her role as a teacher, Reading Specialist, Assistant Principal and Principal. Mrs. Johnson has had the opportunity to study at Judson College, Aurora University, and National Louis University where she has acquired her BA, MA and ESL endorsement. She has also had the opportunity to work in East Aurora School District, Wheaton Warrenville School District and Yorkville Community Unit School District. Within these school districts, Mrs. Johnson has had an opportunity to also work with a variety of populations such as EL (English Learner) students, students in the Stars (Skills Training and Related Services) programs, students with IEPs and gifted students. After numerous years in public education, Mrs. Johnson was looking for something different for herself and her daughters. Mrs. Johnson was praying for God's guidance to what was next in her life and she and her family landed at ACS. She is excited for the new adventure and to see what God has in store for all. She and her family (Adam/husband, Madalynn and Hannah/daughters) live in Plano and attend Plano Christian Church where they are active members in the missions department, worship team, Kingdom Kids, and youth group. In her spare time, Mrs. Johnson likes to spend time with family, exercise, compete in races, travel, and if time allows, cook. Dr. Stacy Beebe has eight years teaching experience in K-12 and twelve years in higher education. 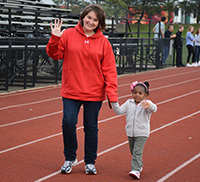 Most recently, she served as the program coordinator for the physical education teacher education program at Aurora University. She has an undergraduate degree in K-12 physical education and health, with a minor in educational psychology, from Chadron State College. Dr. Beebe has a master’s degree in both elementary and secondary administration and holds a current type 75 Illinois Professional Teaching License. In 2011, she graduated with her Doctoral degree in Instructional and Curriculum Leadership from Northcentral University. As a faculty member at Aurora University, she also led the Fellowship of Christian Athletes Group. Dr. Beebe and her husband, Dan, have two sons, Trey and Ty. They currently attend Fox River Church, in Norway, IL. Mrs. Holly Henning has been working at ACS since 2005. After graduating from ACS in 1993, she attended Judson University in Elgin, Illinois, and earned a degree in Elementary Education. She worked for six years at Wegnar Elementary in West Chicago, teaching 3rd and 4th grade. She and her husband live in Aurora with their two sons, Kyle and Carter, and they attend Harvest Baptist in Oswego. Mr. Dan Beebe became athletic director in March 2010. 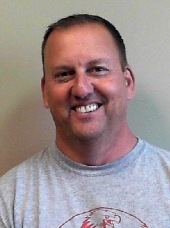 Mr. Beebe was raised in Sugar Grove, IL and graduated from Kaneland High School in 1986. He completed his undergraduate degree from Chadron State College in 1992 and began his teaching career in 1993 at Spring Valley Hall High School. After teaching there for two years, he went back to graduate school at Chadron State College and became an assistant basketball coach. After completing his master's degree in secondary administration in 1997, he became the head men's basketball coach at the college from 1997-2006. During these years he served as Campus Crusade for Christ coordinator for the college. Mr. Beebe and his wife Stacy have two sons, Trey and Ty. They currently attend Fox River Church in Norway, IL.